There are many reasons why it is in your best interest to be as cooperative and open to compromise as possible when co-parenting with a former spouse. While you can’t always bring about the same behavior in your ex, you can set a good example for your children and help to reduce the amount of conflict they witness. Not only that, but the court will likely take notice of your cooperative attitude, and may end up rewarding you for it. A recent Appellate Division decision covers a case where a father’s demonstrated ability to be a cooperative co-parent helped him establish his greater suitability to be the parent of primary residential custody. The recent case, titled Alintoff v. Alintoff, involved a dispute over custody between parents who filed for divorce in 2011. The mother had taken the child, then 2, from the couple’s home in New Jersey to Brooklyn, where her parents lived. The mother had repeatedly attempted to interfere with the husband’s parental rights, such as by refusing to meet the father in person to discuss the child’s care, making unsubstantiated accusations of abuse with the Division of Youth and Family Services, and threatening to sue the owner of a gymnastics facility where the father took the son for classes. The parents had agreed that any decisions made about the son’s care would be done together. However, the mother enrolled the child in preschool classes and had him evaluated by therapists without the father’s input or consent. Rather than disrupt his son’s education, the father permitted his son to remain in those preschool classes. The father turned to the New Jersey family court to request primary residential custody of his son, and the parents engaged in a 28-day hearing on the matter of custody. Since the mother had relocated to Brooklyn, awarding truly equal parenting responsibilities wasn’t possible, and the judge was forced to choose one parent to hold primary residential custody. The trial court judge enumerated the factors in the New Jersey Statutes which judges should use when determining child custody, such as any history of abuse, the willingness to allow parenting by the other parent where no evidence of abuse exists, the safety of the child when in either parent’s custody, the stability of the home life of each parent, and the parents’ job responsibilities. In evaluating the mother’s way of handling the son’s educational needs, the judge noted that while she was a “staunch advocate” for her child, she “parent[ed] as if she [was] the only parent,” regularly making important decisions without the father’s input. 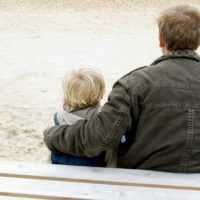 The trial judge also found that the ex-wife’s parents failed to respect the father’s right to make decisions about the son’s upbringing, and concluded that, if the mother were awarded custody, the grandparents would also interfere with the father exercising his parental rights. The judge also noted that the ex-wife’s interference with her former spouse’s efforts to improve their son’s life and well-being went against awarding her primary custody. The Appellate Division affirmed the trial judge’s decision to award the boy’s father primary residential custody, finding it abundantly supported by the evidence at trial. If you’re facing a contested child custody matter in New Jersey, get help in asserting your rights to parent your child by contacting the knowledgeable and dedicated New Jersey family law attorney John B. D’Alessandro for assistance, at 908-964-0102.